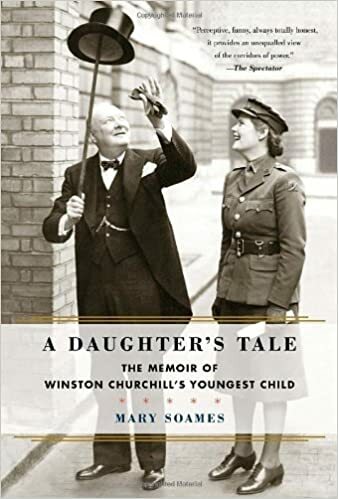 In this charming and intimate memoir, Winston Churchill’s youngest daughter shares stories from her remarkable life—and tells of the unbreakable bond she forged with her father through some of the most tumultuous years in British history. Now approaching her ninetieth birthday, Mary Soames is the only surviving child of Winston and Clementine Churchill. Through a combination of personal reminiscences and never-before-published diary entries, she describes what it was like growing up as the scion of one of the lions of twentieth-century statecraft. Warm memories of a childhood spent roaming the grounds of the family’s country estate, tending to a small menagerie of pets, evoke the idyllic mood of England between the wars. As she matures into one of her father’s most trusted companions, we are given rare glimpses inside the glittering social milieu through which the Churchills moved—as well as the rough-and-tumble world of British politics. With fly-on-the-wall immediacy, Mary describes the momentous debate in Parliament where Prime Minister Neville Chamberlain was driven from office, paving the way for Winston Churchill’s ascension and the grueling crucible of World War II. During the war Mary served as a gunner in the women’s auxiliary, helping to shoot down the German V-1 rockets then bedeviling London. Styling herself as Private M. Churchill to avoid publicity, she led a unique double life that comes vividly alive again in the retelling. Splitting her time between luncheons at Chequers—where she spent time with the likes of Lord Mountbatten—and the turret of an anti-aircraft battery, she was never far from the center of the action. Hitler even reportedly hatched a plan, never consummated, to hire spies to seduce her in order to gain access to secret British war plans. She attended the Potsdam Conference as her father’s aide-de-camp, arranging a memorable dinner with Harry Truman and Josef Stalin (whom she acidly remembers as “small, dapper, and rather twinkly”). And when British voters overwhelmingly turned on Churchill in the 1945 election, it is left to Mary to recount the pain and devastation her father could never publicly express. The mutual love and affection between Mary Soames and her parents pours forth from every page of this elegantly written memoir. A Daughter’s Tale is both a moving personal history and a source of untold insight into one of the enduring icons of British national life.